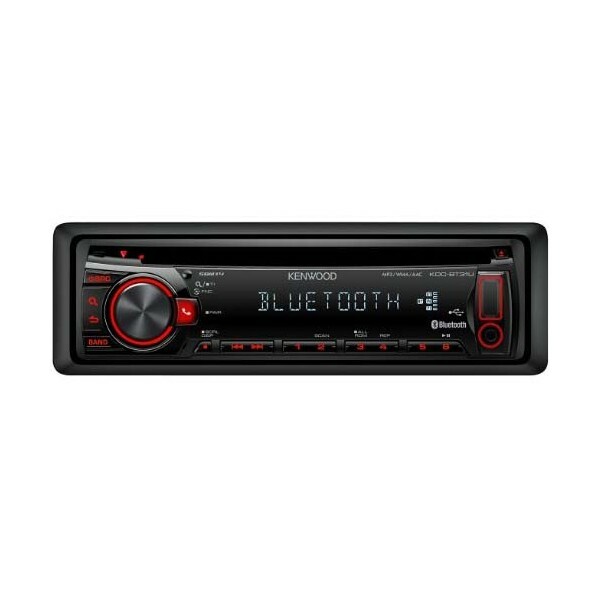 Equipped with a CD player, the KDC-415UR from Kenwood has an auxiliary input and a frontal USB port for enjoying music files (MP3, WMA, AAC) stored on your digital player or USB key. 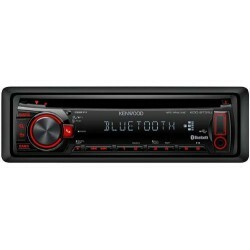 What's more, its rear RCA output is also perfect for hooking up an amplifier or an external subwoofer.Thanks to its Music Search function, the KDC-415UR lets you find your favourite songs on a music database stored on CDs or external devices.Compatible with steering wheel controls, the Kenwood KDC-415-UR pumps out 4 x 50 W of power and features several different playback modes such as shuffle and repeat. Repeat, random play, skip functions. 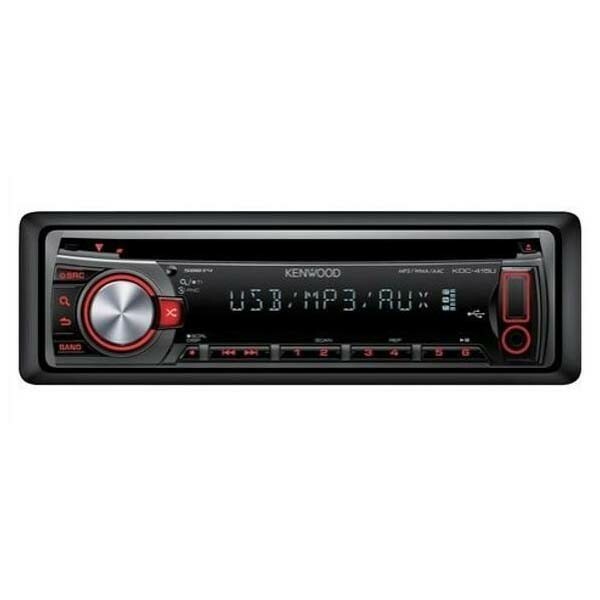 CD-R/RW and MP3 playback playback compatibility. Tells if the product is able to read CDs with MP3. (Universal Serial Bus) A widely used hardware interface for attaching peripheral devices. USB ports began to appear on PCs in 1997, and Windows 98 was the first Windows to support it natively. Within a few years, USB became popular for connecting nearly every external peripheral device. Replacing the serial and parallel ports on a PC, at least four USB ports are standard on every computer. USB has a maximum bandwidth of 12 Mbps for USB 1.0 and 1.1 and 480 Mbps for Hi-Speed USB 2.0. Up to 127 peripheral devices can be attached to the bus, and USB 1.1 devices can plug into USB 2.0 ports. Fast devices can use the full bandwidth, while low-speed ones can use a 1.5 Mbps sub channel. In this case the USB featured by the unit means that you can connect a USB device, such as your mp3 player without using a computer to you car/audio video unit to play your stored audio or movie files.